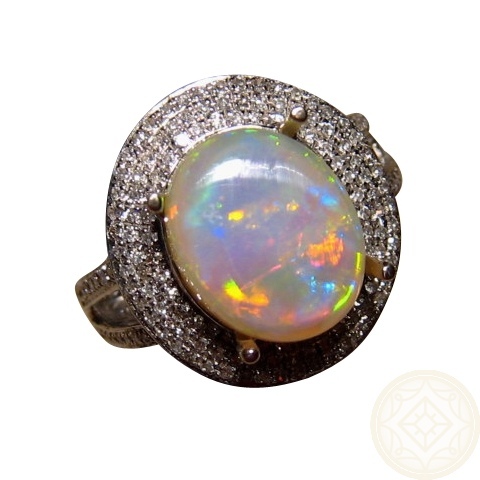 A big Opal ring with a gem grade Crystal Opal surrounded by lots of Diamonds. 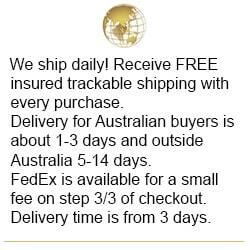 In stock and ready to ship. 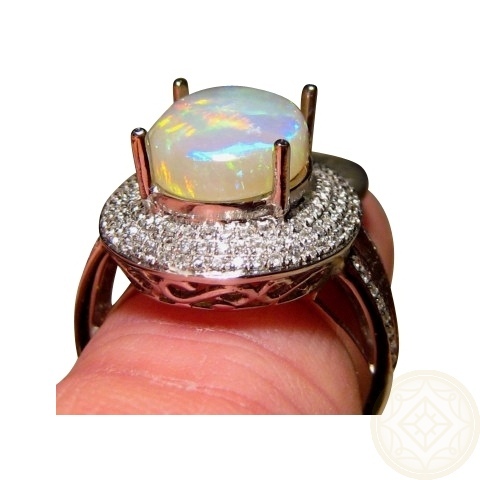 A big Opal ring in 14k Gold featuring a very bright Lightning Ridge Crystal Opal which is surrounded by a halo of small good quality round Diamonds in three rows with more Diamonds going down ¾ of the way on the split band. 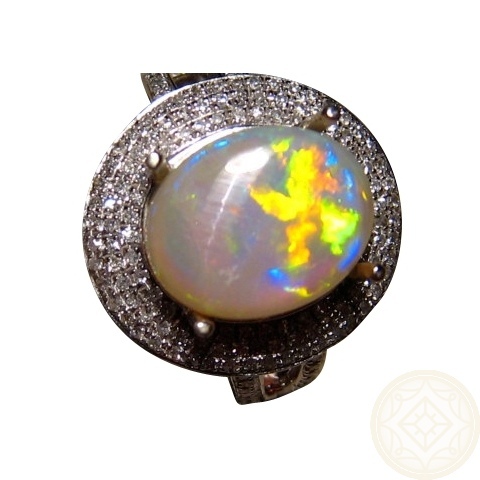 The Opal weighs 2.88 carats and shows Yellow, Green and Blue colors that are extremely bright in a patch pattern. 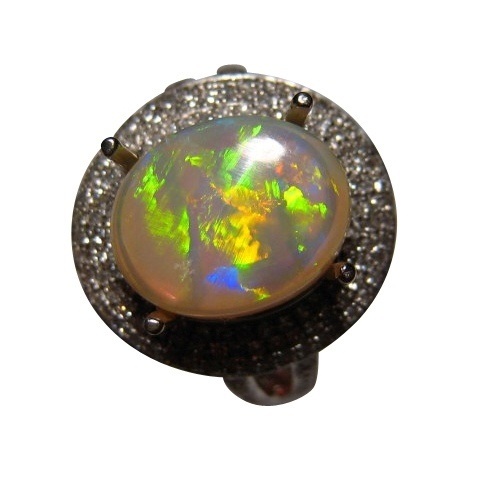 The setting sits just over ¾ of an inch so is very impressive on the hand. 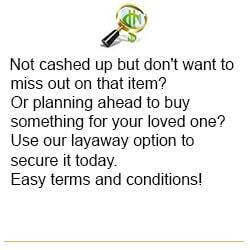 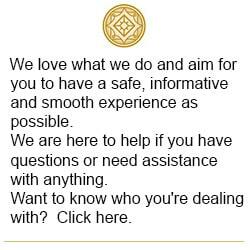 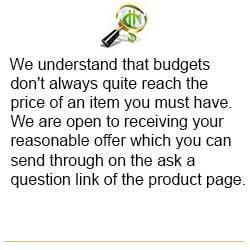 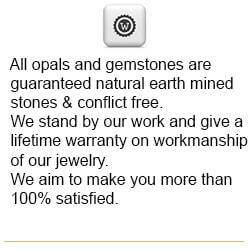 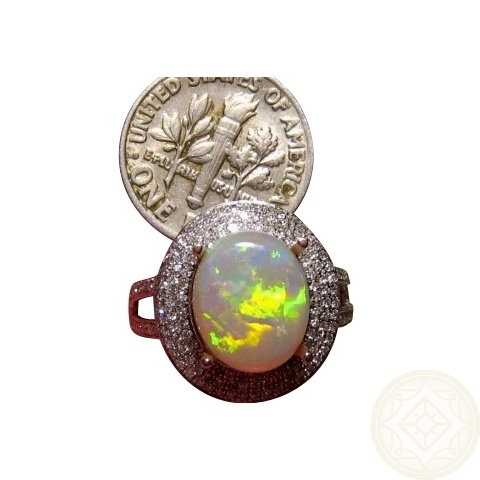 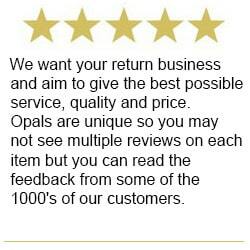 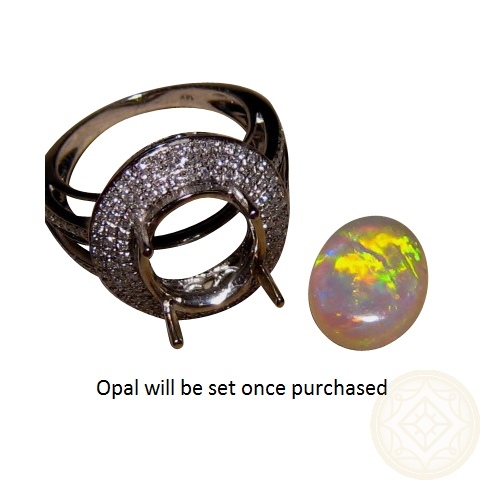 The Opal will be secured on sale which means it can also be mounted into a different setting that you prefer - simply inquire through this product for assistance. 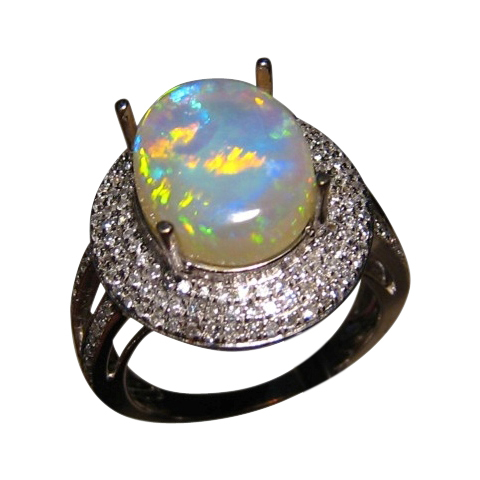 A big ring that is ready to ship in White Gold size 6 ¼ or M, or will take about 14-21 days for other ring sizes or Gold color.